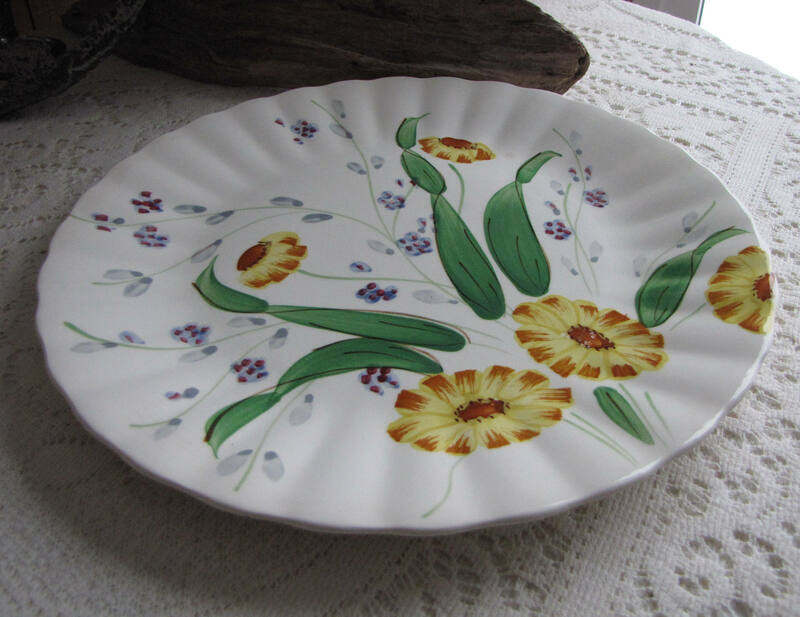 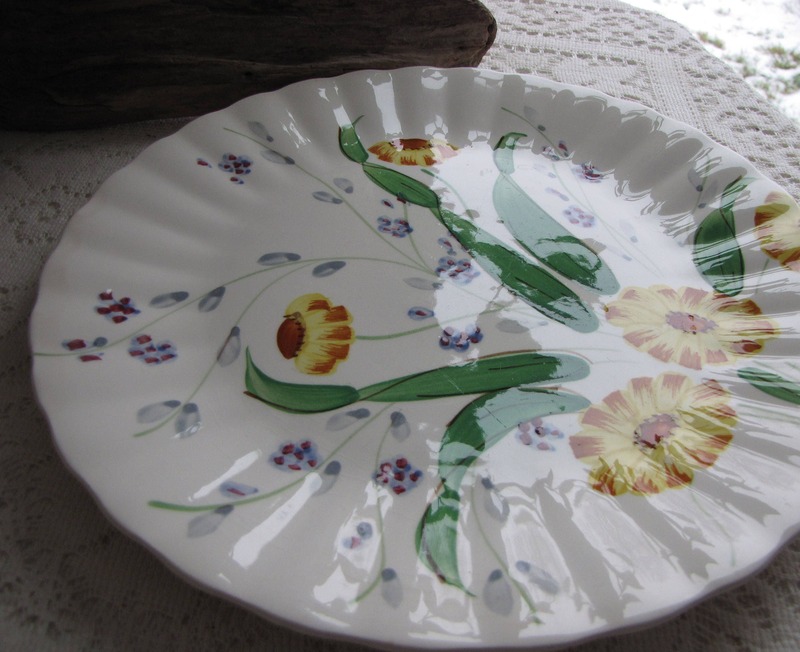 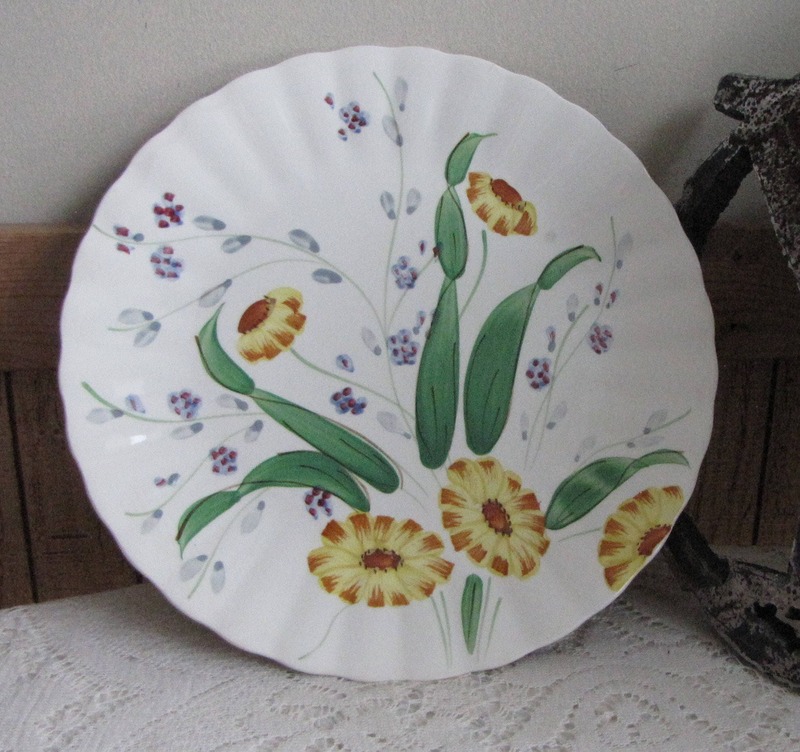 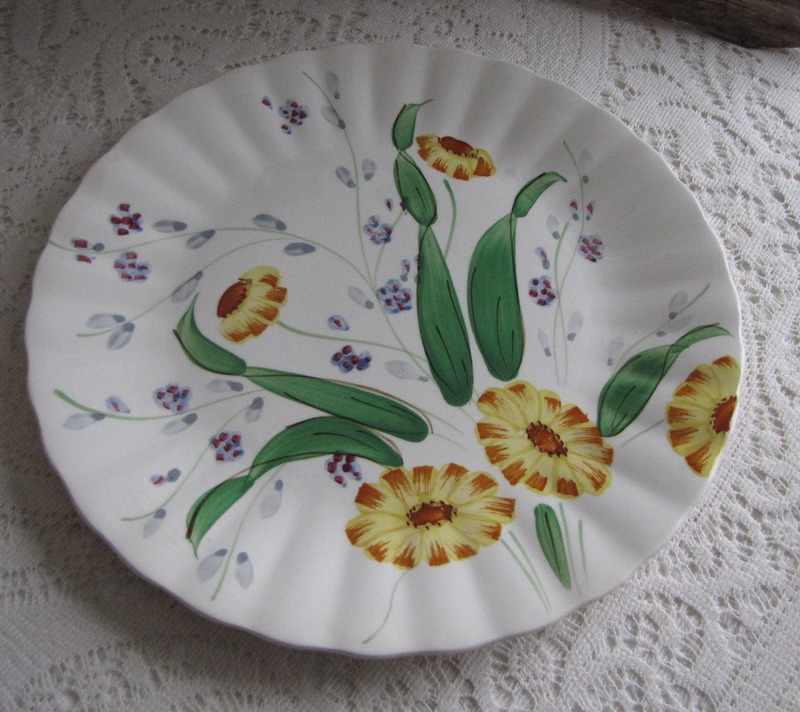 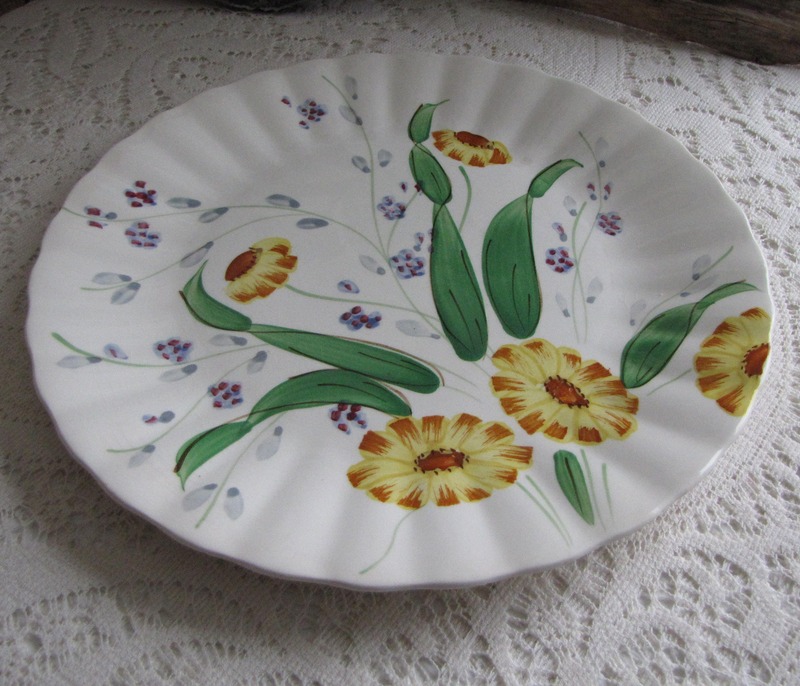 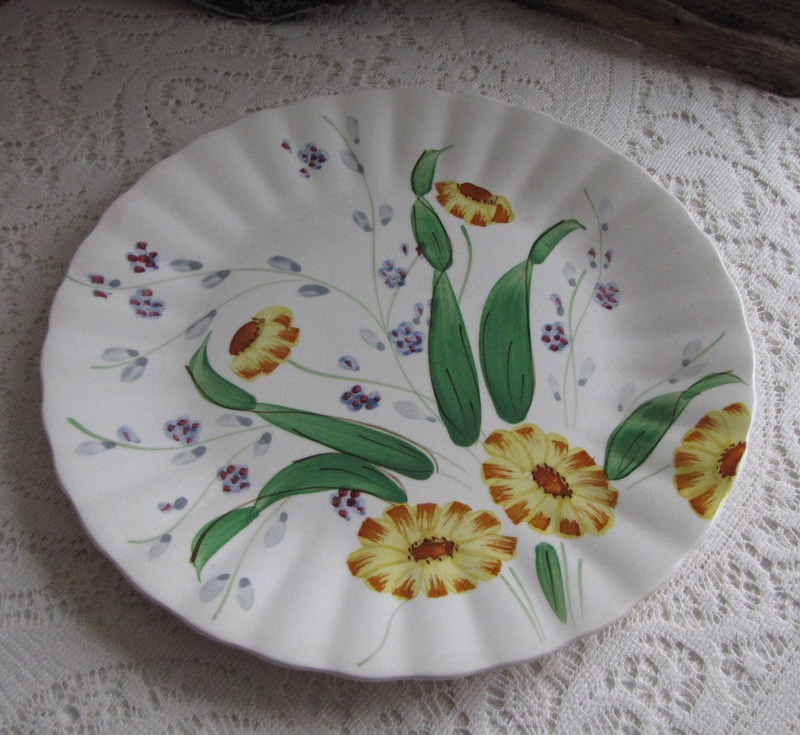 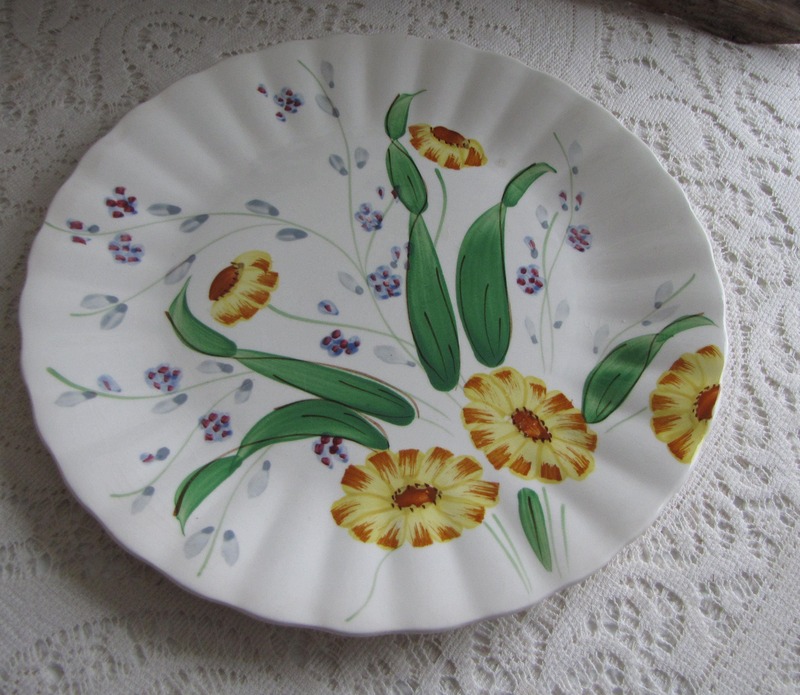 This is Southern Pottery dinner plate that is in good vintage condition with no chips or cracks. 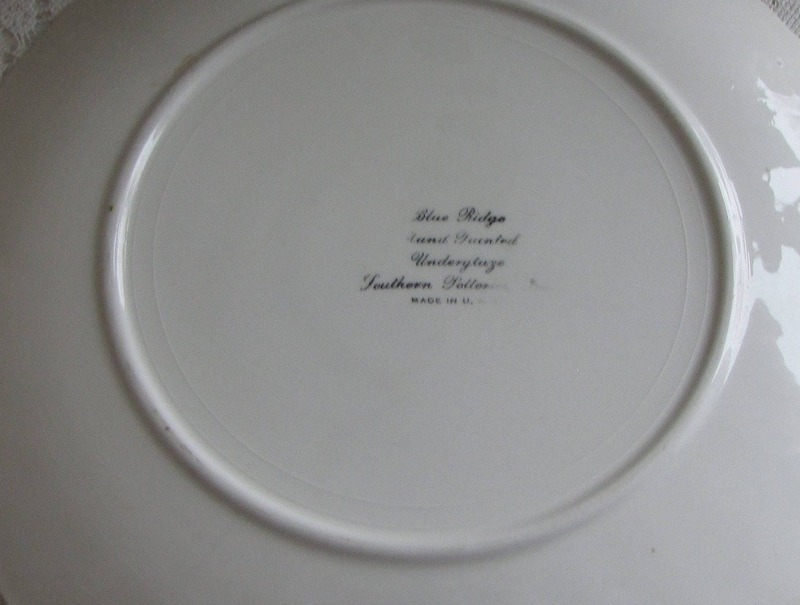 This plate dates to after 1934 when the “Blue Ridge” was added to the back stamp. 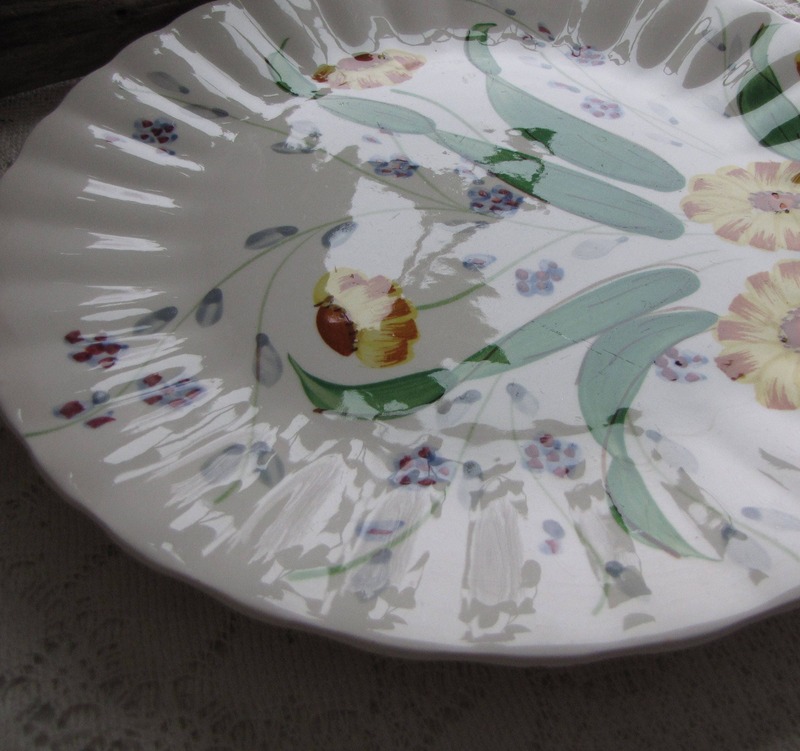 The plate measures 10.25 inches in diameter and has utensil marks. 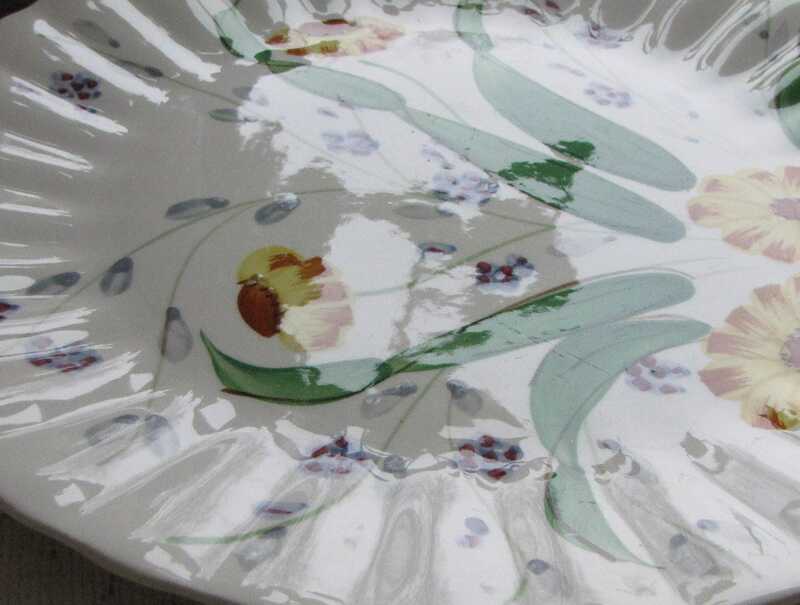 The fluted edges is their Colonial-styled dish.